The Horror Honeys: Friday Favorites ~ Most Anticipated Movie of 2016! Friday Favorites ~ Most Anticipated Movie of 2016! The start of a new year means it's time for the Honeys to get excited about what the next 365 days hold for us in terms of movies! Some of us are already knee-deep in awards season films, while others are holding out for the indie horror that lies just on the other side of the Oscars. But one thing is for damn sure... 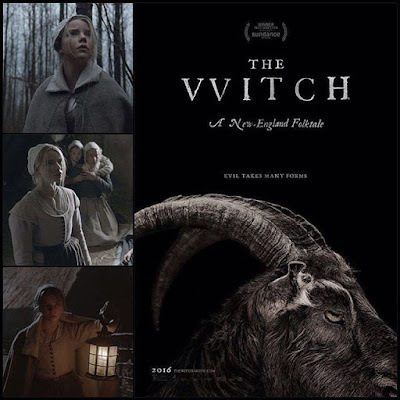 Almost EVERY Honey is sitting on their hands, waiting impatiently for a chance to see Robert Eggers' The Witch! What movie are you more excited for in 2016? Tell us on Twitter, using #horrorof2016! Zombie Honey Bella ~ The Neon Demon, The Witch, Lights Out (I’m curious about how they are going to stretch this short film - which was awesome - into a full length feature. And by curious I mean skeptical), Patient Zero, Midnight Special, and Deadpool - because let’s be honest, he’s everything I want to be when I grow up.